Your project page is the first thing your funders will see. Your page helps your funders connect with YOU, and your product, to help them understand why you are asking for their money. More information is better – information about you, your company, your team, your creative process, your business, your product, your sketches – anything that can help potential funders imagine what you are trying to create or grow. Your featured image is the first thing your potential funders will see. This image will represent your campaign. It will be displayed on top of your video, and it’s the image that will get shared through social media. Make sure that your image includes your company logo, product name and/or project title. Including a "Fund me on iFundWomen" call-to-action graphic is a great idea, too. DESIGNER TIP: We love designing our graphics in Canva! IT'S FREE and makes it super-easy to create gorgeous graphics without knowing anything about web design. 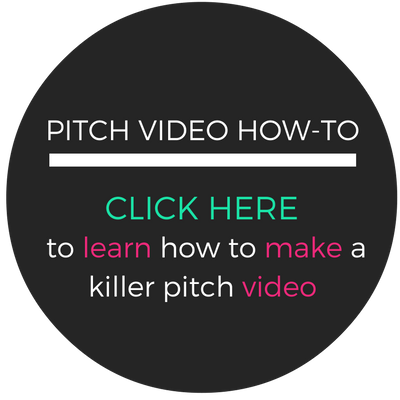 Your pitch video is the second thing potential funders will see, and it will be displayed at the top of your page, beneath your featured image. In other words, the featured image serves as your video's thumbnail. iFundWomen accepts video urls from both Vimeo and YouTube, so whichever platform you are most comfortable with is fine with us. Please read through our video how-to's very carefully to make sure you are set up to succeed! This is the next thing your potential funders will see after watching your video, so you should be as detailed as possible about your project here. Think of this as a blog post. Here you can have text, images, links, additional video, press clippings, and pictures of your team. Make sure to address all of the questions below in your project description. Remember to save your draft often to make sure you don't lose your work. Rewards are incentives to entice your funders to increase their pledges, and YES, they really do work. Campaigns that offer rewards raise 143% more than those which don't. The $25 reward is the most popular, however the $100 reward raises the most money, and makes up to almost 30% of total funds raised.